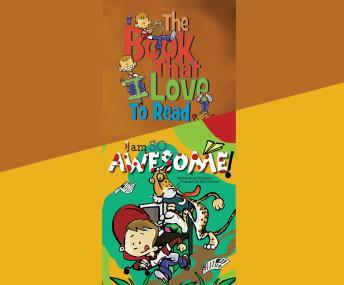 The Book that I Love to Read: The ultimate reluctant-reader book comes to life with awesome illustrations as our host gives readers a tour of the book he loves to read and explains why he loves to read it. I Am So Awesome: What's a kid to do when he has to wait at the office while his mom finishes up work? Take an awesome adventure, of course! Join this amazing young adventurer as he swims, jumps, and treasure hunts his way through the jungle...err, office.